It is just about time to get the votes in for the Calder Trophy and there is a huge debate surrounding it. I’m having trouble seeing why. Do you give it to the rookie with the most points? Do you give it to the rookie who is most valuable to their team? Or do you give it to the player who is clearly far-and-beyond the best rookie to step foot on the ice this season. I lean towards the last criteria I mentioned. And if it that is the case, the Calder Trophy belongs to Connor McDavid and he is running away with it. All statistics via war-on-ice.com before the games on March 16th. When you compare the underlying statistics of McDavid versus the rest of his rookie peers, it becomes so clear how good he has been this season. Looking at high-danger-scoring-chances, McDavid has been absolutely absurd. McDavid has already produced 47 high-danger-chances at even strength this season in just 35 games. That total is tied with Max Domi and more than the totals of Robby Fabbri, Artemi Panarin, Anthony Duclair, Nikolaj Ehlers and Shayne Gostisbehere. No rookie even comes close to that pace, with Sam Bennett being the closest with 62 chances in 66 games. When you’re getting those chances, the production will pile up. It’s not just individually, either. McDavid is having an astronomical impact on his line-mates this season. While playing 5-on-5, McDavid has a high-danger-scoring-chances-for-% of 56.90. When he is off the ice, the rest of the Edmonton Oilers have a percentage of 44.26. 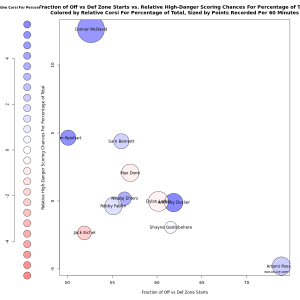 That kind of differential at even strength is almost completely unheard of in the NHL this season. Mike Cammalleri is the only player (who has played over 400 minutes) to beat McDavid’s 12.64 HSCF%rel in the entire league. The next closest rookie who has a realistic shot at the Calder is Sam Reinhart with a 4.65 HSCF%rel. When the game is close (within one in periods one and two or tied in the third), it somehow gets even higher. McDavid has a 14.84 HSCF%rel in close game scenarios, a number that is only bested by Jonathan Huberdeau. Sam Bennett is the next closest rookie with a 7.23 HSCF%rel. Among the top-11 rookie scorers this season, McDavid has the second-highest CorsiFor% during 5-on-5 with a number of 52.68. Only Ehlers has been better with a 54.5 CorsiFor%. McDavid’s 4.78 CorsiFor%rel is only bested by Reinhart (4.99) and Duclair (5.48). Edmonton is a below-average Corsi team playing 5-on-5 but McDavid is doing his best to change that. In that group of 11 rookies with a shot at the Calder, only Reinhart and Eichel have a lower offensive-zone-start-% than McDavid’s 52.63 this season. He has 160 offensive-zone-starts to his 144 defensive-zone-starts. 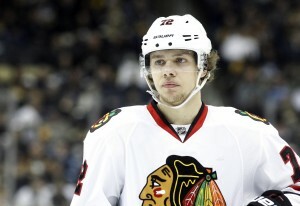 If you want to look at which rookie is sheltered the most, look no further than Panarin. His offensive-zone-start-% is 73.88. In fact, McDavid already has 22 more defensive-zone-starts than Panarin despite playing in almost half the games. With all of that in mind, the possession numbers of McDavid look even better and quite frankly shine a light on Panarin’s play away from the puck this season. After all of that, McDavid’s PDO is the lowest among those top-eleven rookie scorers. His numbers could look even more dominant when that evens out. McDavid has 24 points during 5-on-5 play this season, just nine back of co-leaders Larkin and Panarin in that department. McDavid’s 2.96 points-per-60-minutes of 5-on-5 play isn’t touched by any other rookie. Larkin is the next closest with 2.18. Expand McDavid’s production over a full season and his numbers would blow every rookie out of the water. His goals-per-60-minutes of 5-on-5 is 1.36, only Larkin’s 1.12 comes even close. His ability to track down the puck with his speed is incredible already. He has six giveaways to 19 takeaways, a ratio that isn’t close to being matched by any of the top-producing rookies this season. That speed has also been a primary factor in generating power plays for Edmonton. McDavid has drawn 12 penalties in just 35 games while only taking three. That differential is once again untouched by the rest of this excellent rookie class. The argument of games played is a fair one. Part of being an impressive rookie is being able to fight through a grueling 82 game schedule. I get that. 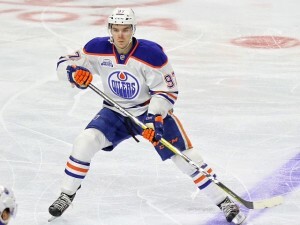 But the sheer impact that McDavid has on the Edmonton Oilers just has to be rewarded. If he plays a full season, he’s a Hart trophy finalist. His sample size is big enough to understand what the Oilers and the NHL are getting in McDavid. Penalizing him for an uncontrollable spill into the boards would be an unfortunate decision. The dominance he already displays on the ice deserves the highest recognition and that should start with the Calder Trophy.